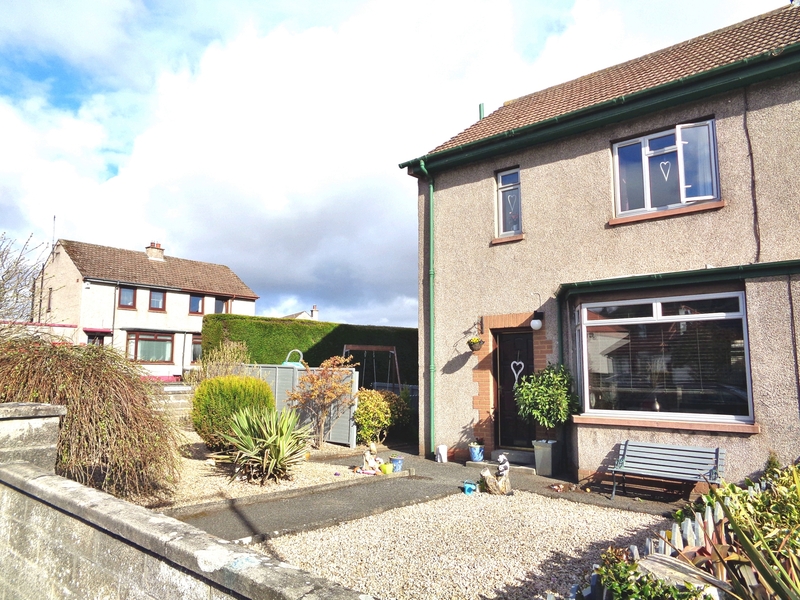 We bring to the market this well presented semi-detached villa which is located within the desirable west end of Dundee. This family home is in move in condition and offers spacious accommodation over two levels. Practical benefits include gas central heating and double glazing. Accommodation on ground level comprises of a bright good sized lounge/dining room with south facing bay window, connecting door leading to the kitchen, which is fitted with a range of modern base, wall and drawer units and co-ordinating work surfaces, integrated hob and oven, split pane door allowing access to the rear garden. Also located on this level is the family bathroom with white bathroom suite comprising of toilet, wash hand basin and shower screen with electric shower over bath. The upper level of the property comprises of three bedrooms two of which have built in storage cupboards, access to the spacious floored attic room can also be found on this level. Externally, the front garden is laid in stone chips with a variety of shrubs and plants, the side garden is laid to lawn with an enclosed play area, the easily maintained rear garden has ample room for a large garden table and chairs with gate giving access to the driveway and separate detached garage. Planning permission has been granted for extension of the property which can be viewed by any prospective purchaser. This property is in a sought after location with all local amenities close by and is convenient for Ninewells Teaching Hospital and Dundee University, local shops and schools are located nearby and recreational facilities including Lochee Park, Victoria Park and the beautiful Balgay Park are only a stone’s throw away with regular bus links into Dundee City Centre and beyond.